Docent och universietslektor i statsvetetenskap. Undervisar och forskar främst om politiskt beteende och politiska partier. Kommenterar regelbundet svensk inrikespolitik i media. Se länk till höger för aktuella mediala framträdanden. Disputerade vid statsvetenskapliga institutionen vid Umeå Universitet 2012. Sedan dess anställd som universitetslektor vid Mittuniversitetet. Antagen som docent i statsvetenskap 2017. 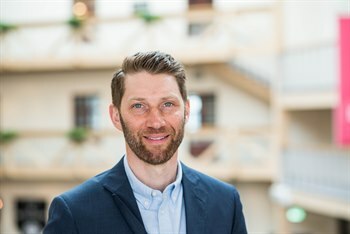 Forskar bland annat om politiska partier, högerpopulism, gröna partier, parlamentarism och val. Bolin, N. & Aylott, N. (2019). The price of power : the greens in the 2018 Swedish parliamentary election. Environmental Politics, vol. 28: 3, ss. 568-573. Aylott, N. & Bolin, N. (2017). Managed Intra-Party Democracy : Precursory Delegation and Party Leader Selection. Party Politics, vol. 23: 1, ss. 55-65. Loxbo, K. & Bolin, N. (2016). Party Organizational Development and the Electoral Performance of the Radical Right: Exploring the Role of Local Candidates in the Breakthrough Elections of the Sweden Democrats 2002-2014. Journal of Elections, Public Opinion, and Parties, vol. 26: 2, ss. 170-190. Bolin, N. & Larue, T. (2016). Reparlamentariseringen av Sverige? Bruket av och betydelsen av riksdagens tillkännagivanden till regeringen. Statsvetenskaplig Tidskrift, vol. 118: 3, ss. 307-337. Bolin, N. (2015). A Loyal Rookie? The Sweden Democrats’ First Year in the European Parliament. Polish Quarterly of International Affairs, : 2, ss. 59-78. Aylott, N. & Bolin, N. (2015). Polarising Pluralism: The Swedish Parliamentary Election of September 2014. West European Politics, vol. 38: 3, ss. 730-740. Aylott, N. & Bolin, N. (2015). The Swedish Greens : A Big Step Forward – and Several Steps Back. Environmental Politics, vol. 24: 2, ss. 337-341. Bolin, N. (2014). New party parliamentary entry in Western Europe, 1960-2010. European Journal of Government and Economics, vol. 3: 1, ss. 5-23. Aylott, N. & Bolin, N. (2007). Towards a two-party system? : The Swedish parliamentary election of September 2006. West European Politics, vol. 30: 3, ss. 621-633. Bolin, N. & Larue, T. (2006). Bättre forskarutbildning i statsvetenskap : ett förslag. Statsvetenskaplig Tidskrift, vol. 108: 2, ss. 224-226. Bolin, N. (2019). The Centre Party and the Liberals : The Swedish members of the liberal party family?. I Liberal Parties in Europe. Routledge. S. 60-76. Bolin, N. (2018). Det nya svenska partisystemet. I Snabbtänkt : Reflektioner från valet 2018 av ledande forskare. Sundsvall : Mid Sweden University, DEMICOM. S. 67-. Bolin, N. , Aylott, N. , von dem Berge, B. & Poguntke, T. (2017). Patterns of Intra-Party Democracy across the World. I Organizing Political Parties : Representation, Participation, and Power. Oxford : Oxford University Press. S. 158-184. Bolin, N. (2016). Green parties in Finland and Sweden : Successful cases of the North?. I Green parties in Europe. London : Routledge. S. 158-176. Bolin, N. , Hinnfors, J. & Strömbäck, J. (2016). Invandring på ledarsidorna i svensk nationell dagspress 2010–2015. I Migrationen i medierna : men det får en väl inte prata om. Stockholm : Institutet för mediestudier. S. 192-211. Nyhlén, S. , Bolin, N. & Olausson, P. M. (2015). Att studera lokalt beslutsfattande. I Lokalt beslutsfattande. Lund : Studentlitteratur AB. S. 73-77. Bolin, N. , Olausson, P. M. & Nyhlén, S. (2015). Lokalt beslutsfattande - avslutande reflektioner. I Lokalt beslutsfattande. Lund : Studentlitteratur AB. S. 169-176. Olausson, P. M. , Nyhlén, S. & Bolin, N. (2015). Lokalt beslutsfattande - en introduktion. I Lokalt beslutsfattande. Lund : Studentlitteratur AB. S. 11-20. Bolin, N. (2015). Partikongresser och interndemokrati. I Partier och partisystem. Lund : Studentlitteratur AB. S. 105-119. Bergman, T. & Bolin, N. (2013). Swedish Democracy : Crumbling Political Parties, a Feeble Riksdag, and Technocratic Power Holders?. I The Madisonian Turn : Political Parties and Parliamentary Democracy in Nordic Europe. Ann Arbor : University of Michigan Press. S. 251-293. Bergman, T. & Bolin, N. (2011). Swedish democracy : crumbling political parties, a feeble riksdag, and technocratic power holders?. I The Madisonian turn : political parties and parliamentary democracy in Nordic Europe. Ann Arbor : University of Michigan Press (New comparative politics). S. 251-293. Aylott, N. & Bolin, N. (2016). Managed Intra-Party Democracy : Precursory Delegation and Party Leader Selection. Paper presented at the 74th Midwest Political Science Association (MPSA) annual conference, Chicago, 7-10 April and 1st Public and Political Leadership (PUPOL) conference, Radboud University, Nijmegen, 7-8 April. Bolin, N. (2015). A Matter of Time? The Impact of the Radical Right on Parties and MPs. Paper presented at the Swedish Political Science Association (SWEPSA) annual meeting, Workshop: Political Parties and Political Behaviour, Swedish Defence University, Stockholm, October 14-16. Bolin, N. (2015). The Impact of the Swedish Populist Radical Right on the Immigration Agendas of the Established Parties and their MPs. Paper presented at the 2nd International Conference on Public Policy, July 2015, Milan, Italy. Bolin, N. & Lidén, G. (2015). The non-receivers : Explanations as to why some Swedish municipalities resist refugee reception. Paper presented at the 2nd International Conference on Public Policy, July 2015, Milan, Italy. Bolin, N. & Lidén, G. (2014). Obstructing national policy. The case of Swedish municipalities and refugee reception. Paper presented at the XVII Nordic Political Science Association Conference, August 12-15, 2014, Gothenburg. Bolin, N. , Lidén, G. & Nyhlén, J. (2013). Anti-immigration party impact on local migration policy in Sweden. Paper presented at the Swedish Political Science Association (SWEPSA) annual meeting, Stockholm, 2-4 October, 2013. Bolin, N. (2013). Green Parties in Finland and Sweden. Electoral, Programmatic and Organizational Changes. Paper presented at the International Conference Green Parties in Europe: A Comparative Perspective, Université Libre de Bruxelles 28-29 March, 2013. Bolin, N. , Lidén, G. & Nyhlén, J. (2013). Political Parties and Local Refugee Reception in Sweden. Paper presented at the XXII Nordiska kommunforskarkonferensen, Åbo, 21-23 November, 2013. Bolin, N. (2010). How new parties shape their own fate : An actor-centered framework for analysis. Paper presented at the ECPR Graduate Conference, Dublin, Ireland, 30 August to 1 September, 2010. Bolin, N. (2007). Established parties and their measures against new parties. The case of Sweden. Paper presented at the 4th ECPR General Conference, Pisa, 6-8 september 2007. Aylott, N. & Bolin, N. (2016). Towards a Framework for Analysing Party Leadership Selection. Göteborg : (Cergu´s Working Paper Series 2016:9). Bolin, N. (2007). New Party Entrance : Analyzing the Impact of Political Institutions. Umeå : Statsvetenskap (Umeå Working Papers in Political Science 2). Bolin, N. & Aylott, N. (2006). The Swedish Parliamentary Election of September 2006. Sussex : European Parties Elections & Referendums Network (Election Briefing Papers 30). Bolin, N. (2015). Party Membership Figures. Sweden 1945-2014. Bolin, N. (2012). The New Party Entrance Dataset. Aylott, N. & Bolin, N. (2018). How the rise of the Swedish radical right changed the most stable party system in Europe (LSE EUROPP Blog). Bolin, N. (2018). Miljöpartiet de Gröna. Malmö : Nationalencyklopedin. (Nationalencyklopedin). Bolin, N. (2016). Kampen om Ohlsson ställer L:s dilemma på sin spets (Dagens Samhälle). Bolin, N. (2016). Miljöpartiet är inte regeringsdugliga (Expressen). Bolin, N. (2016). Nytt språkrör räddar inte opinionssiffrorna (Expressen). Bolin, N. & Larue, T. (2016). Riksdagen visar tänderna – tillkännagivandena och maktbalansen mellan riksdag och regering (Om makt och politik). Aylott, N. & Bolin, N. (2016). Selecting party leaders: Who chooses and who shapes the choice? (LSE EUROPP Blog). Bolin, N. (2016). Sverigedemokraternas organisatoriska utveckling som förklaring till väljarframgångarna (Om makt och politik). Bergman, T. , Bolin, N. & Sandström, C. (2015). Det finns möjligheter till blocköverskridande samarbeten (Om makt och politik). Bergman, T. , Bolin, N. & Sandström, C. (2015). DÖ är inte hållbar i längden (Svenska Dagbladet). Bolin, N. (2015). Är Sverigedemokraterna höger? (Om makt och politik). Bolin, N. (2014). Hur vanligt är det med nya partier i nationella parlament? (Om makt och politik). Bolin, N. & Aylott, N. (2014). One winner and seven losers: The Swedish parliamentary election of September 2014 (EPERN research blog). Bolin, N. , Lidén, G. & Nyhlén, J. (2014). SD har makt över lokal flyktingpolitik (Dagens Samhälle). Bolin, N. (2014). The 2014 Swedish election will result in a change of government, but not in a substantive change of policy (LSE EUROPP Blog). Bolin, N. (2013). Utpekande som vilar på påståenden utan grund (Dagbladet).